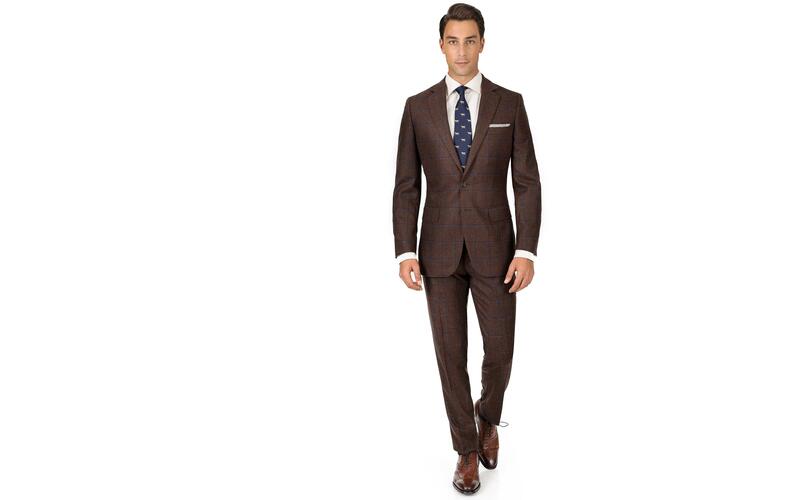 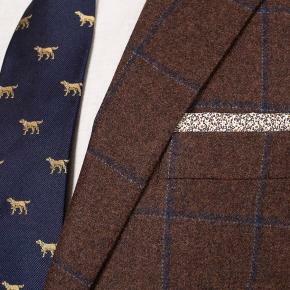 Both the use of brown colours in suiting and this particular check pattern originate with the countryside pursuits of the aristocracy: hunting, fishing, shooting, horse-racing, and generally tottering around big country estates. 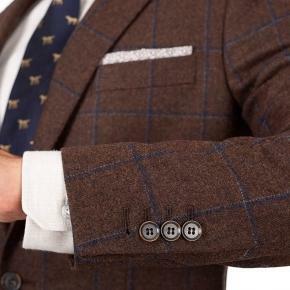 The modern gent is not so limited in his use of such interesting patterns and colours. 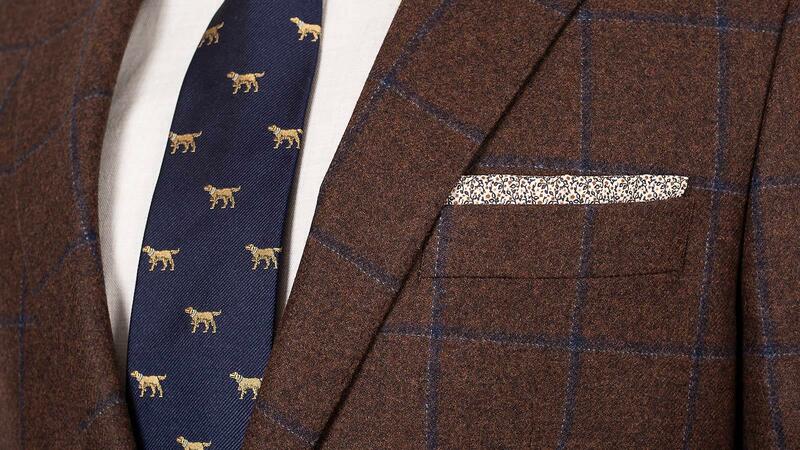 E. Thomas is a heritage mill which specializes in blending wool, cashmere and other noble fibers to weave designs with a traditional vintage look & feel.